As a result of that news, Lapai, headquarters of Lapai Local Government Area, Niger State has become a ‘tourist’ site for many who want to confirm the story. 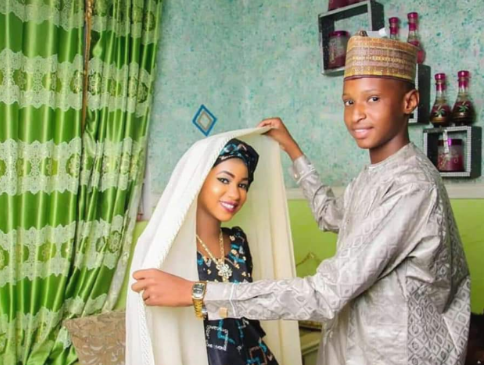 According to DAN ATORI of Sunday Telegraph who visited Lapai, Niger State, the groom who paid a bride price of N300, 000 is the third man the supposed 15-year old bride, Adama Amadu- Yakubu was tying the nuptial knots with, within 5 years. Chanji paid the sum of N300,000 which covered bride price and compensation to a suitor who had sought Adama’s hand in marriage weeks earlier. 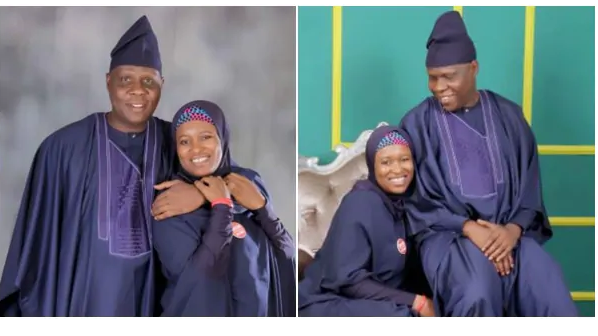 Investigations revealed that Adama, who, until recently, hawked the popular ‘Fura da Nono (cow milk and millet), met Chanji, a businessman and farmer and their relationship started when he jokingly proposed marriage to her promising to take her to Minna. This was said to have been the turn on for her for she had always longed for a life in the city. Adama, who, according to her parents, is almost 21-years old, had been twice married and divorced before her marriage to Chanji. She was said to have walked out on the two previous ones because she was fed up with the nomadic way of life they lived. “I was tired of living in the bush,” she was quoted to have said. So when Chanji proposed to her, it was an answered prayer. “I am 61 years old and my wife is over 20 years. You can see, this is her international passport. She was born in 1998. Is that not more than 15 years? She is 20 years and eleven months old. 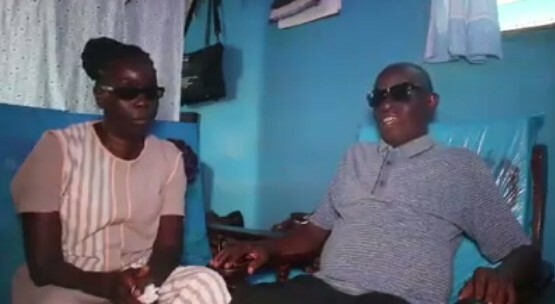 Chanji, who denied that he is in his 70s, is angry with the media for trying to tarnish his image saying, he will sue any media house which publishes wrong information about him and his new wife. It was reliably gathered that on Friday, he had reported the invasion of his in-law’s home to the Emir of Lapai, seeking to restrain people, adding that he would arrest and sue anyone who intrudes on his privacy. “Before we got married, I already did her international passport for her because we are going to travel abroad together. As you can see, her year of birth is 1998. I am not 70 years or over 70 as being speculated. I am 61 years old. These are all propaganda. This whole thing has gone viral and people are spreading wrong information about me; I am her third husband; she is my fourth wife. Is it wrong for me to marry her or is it wrong for me to divorce a wife and marry another wife? Father of the bride, Mallam Muhammadu Ahmadu told the correspondent that he was not forced or cajoled to give his daughter out in marriage and that his daughter is not 15-years old but over 20 years old. “I want to thank you for coming to get the true situation of things. I am in total support of this marriage. I gave my child to Chanji because my daughter said she doesn’t want her former husband anymore. Ever since she brought him (Chanji) and said she liked him, I approved their union and by God’s grace, I joined them willingly and it was never a forced marriage. Mine, as a father is to support and bless whoever she brings and as God will have it, the man came and said he loves her too. Since both of them love each other, there is nothing more other than for them to be joined in marriage. The bride’s uncle, Usman Umar Dikko, also confirmed that Adama Ahmadu is not 15 years old as speculated but over 20 years old. Further investigations have it that Adama have been married to two different men in the past, and already had a suitor (who would have been a third husband) who asked for her hand in marriage few weeks before but she preferred Alhaji Chanji because she no longer wants to be married to a Fulani man who lives in the bush. “The other two men are Fulani who stay in the bush. The lady is not 15 years old, she is over 20 years. If you look at her pictures carefully, you will know that she looks older than a 15 years old girl which mischievous people are speculating. The thing I want to tell you is that, according to Fulani culture, they usually give their daughters away for marriage at early age. When Alhaji went back to finally marry Adama, I learnt he went with five of his rich friends amongst whom is Alhaji Aliyu Umar Muku Soje, whom he instructed to post the marriage pictures on social media, because the bride’s family want something to hold on to, as evidence and proof of the marriage. The whole saga happened after Alhaji Aliyu Soje posted the pictures on Facebook. 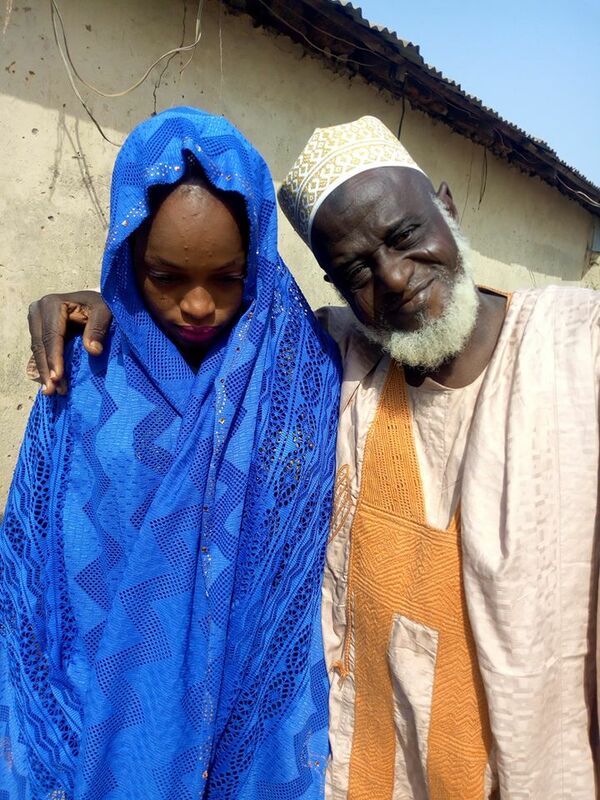 Initially, there were no comments or reactions until one Maiyaki Ahmed shared it on Arewa news and changed the story by saying 72 years old man marries 15 year old girl in Niger”. “A man of my Uncle’s age should not have taken a lady of that age for a wife because of the age difference. He has grandchildren who are even older than the lady. But in life, we all have our weaknesses. My uncle’s own weakness is that he likes women too much. But the good thing about him is that, he marries them legally. “He is from a prominent and royal family. He has married more than 50 wives; everyone calls him ‘Chanji Mata’ because he marries and divorces women on regular basis. He married one of my friends, Amina Kagara, and immediately after they had one child, he divorced her. This could not be far from the truth. 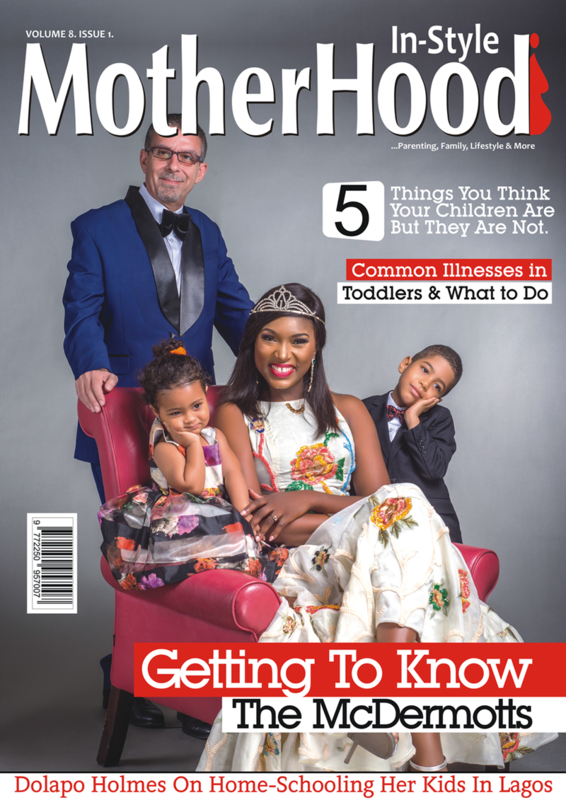 Nigeria, according to a report on child marriage in 2017, is the 11th highest nation in the world for number of child marriages. Data show a 9% decline in the prevalence of child marriage compared to that of 2003. The report shows that 43% of girls are married off before the age of 18, and 17% are married before they turn 15. “For now, we cannot speak on the case, but a committee has been set up to look into the matter and until they come up with a report, we cannot speak or do anything”.